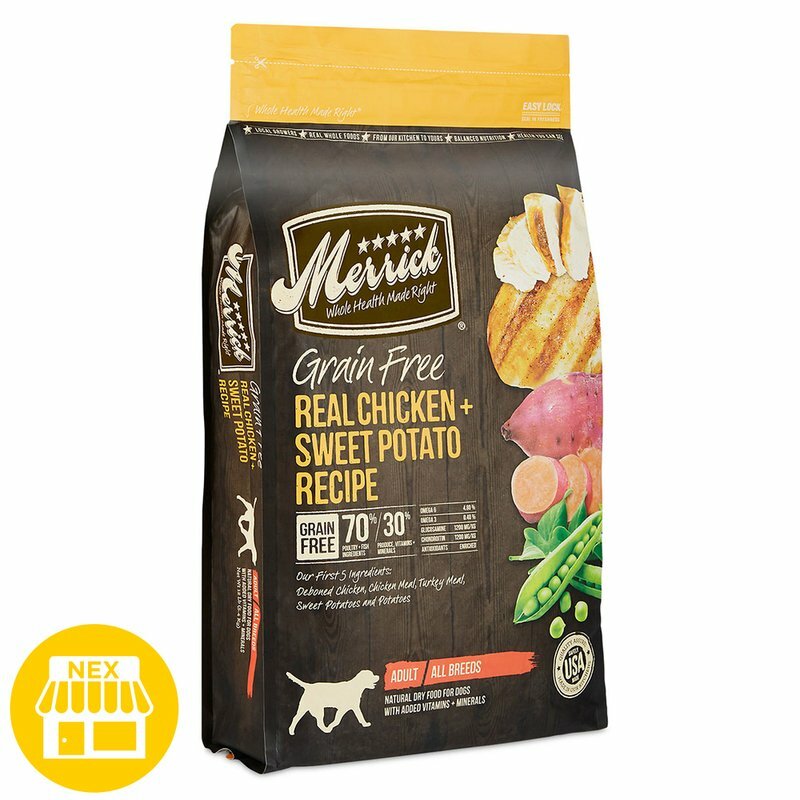 Merrick Grain Free Real Chicken & Sweet Potato Dry Dog Food, 25 lbs. Fill the bowl and watch Scruffy come running! Merrick's Grain-Free Real Chicken + Sweet Potato Recipe provides balanced nutrition with quality protein and healthy fats. With a focus on naturally nutrient-rich ingredients, this natural recipe will support your dogs overall health.